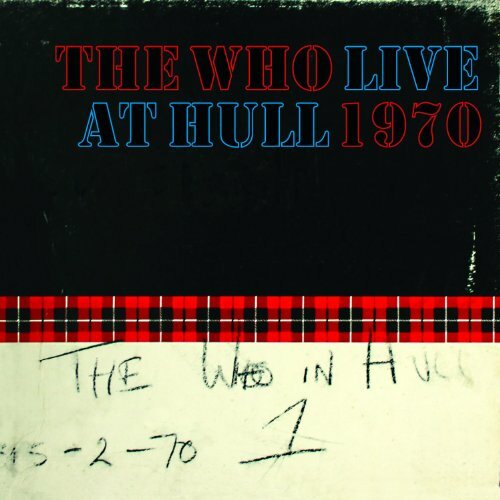 The Who‘s Live at Hull set – previously only available as part of the expensive 2010 Live At Leeds super deluxe edition box – is to be released as a standalone two-CD set on 19 November 2012. The gig was originally recorded on 15 February 1970, the very next night after the celebrated Leeds performance. Apart from Magic Bus which wasn’t played in Hull, the set lists are identical. I wonder if we will see a vinyl pressing of this Hull set in due course? I got this one. It’s great! Absolutely fantastic, just like Live at Leeds – quelle surprise! But what I don’t understand is how this set can rate the label “DELUXE Edition” as was pasted across the shrink wrap of the edition I have. How is this a DELUXE Edition? While it may have been a part of a DELUXE Edition, and it may be a limited edition (probably not), as a stand alone it’s not a deluxe edition, because it’s just a release. No previous release containing only 6 tracks which was expanded to a full 33 tracks like Live At Leeds. I think record companies throw this term around too much, it diminishes the value. Don’t get me wrong, I am very happy with this purchase, but it’s just not Deluxe as claimed. Well, I believe that – as absurd as it may sound – boxed sets start to become relevant only for the items other than the music, if this tendency is becoming a standard. A great alternative to Leeds recording. I bought the Leeds boxset so no need to buy this one. It’s a boring set that was a lousy extra. Luckily I didn’t buy the Leeds box set which now goes for hundreds of dollars, otherwise I’d be pissed the only new feature in the box set is being sold separately for 20 bucks. Same here, don’t have that Leeds set, so will definitely pick up this Hull release.